How to get from Venice to Marco Polo Airport, Venice Cruise Terminal, Piazzale Roma or Water Taxi station? 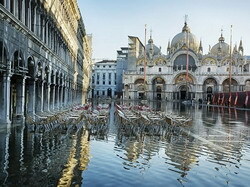 Want a transfer from Venice airport or a limo service in Venice? Find out how you can experience the best in safety and comfort when you decide to book your transportation with us! We are the leading Western European provider of driving services and we also offer water transfer in Piazzale Roma as well. Do you happen to need a minivan with driver and child seat? This won't be an issue as we offer a complete solution for transporting you to your destination in comfort, elegance, safety, and style. We utilize only the finest high-class vehicles and our drivers are professional, courteous, and knowledgeable about the area and friendly. We take pride in our enthusiasm for making our customers happy and we will prove to you why we continue to be the best. 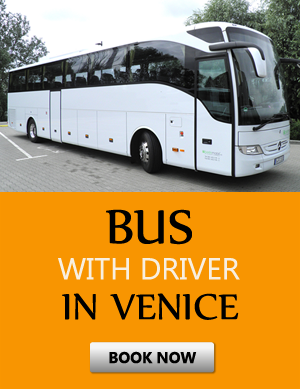 Whether you need a Venice Airport Merco Polo taxi or a limo service in Venice we can help you. If you would like to know the transfer price or need a water transfer in Piazzale Roma we can give you the best and most affordable rates and deliver you in comfort. Often people who need a Venice cruise terminal transfer will call upon us for their needs. We hire only the most curteous and respectful staff who are fluent in many different languages that include English, Russian as well as Italian. We aim to keep our customers satisfied and making you happy is our first priority. We will get you to your destination safely and in an affordable and economic manner. As we stated we only use the most luxurious and comfortable vehicles and have a fleet that includes minibusses, busses, as well as limousines and a minivan with driver and child seat as needed. We have transported celebrities, business people, as well as wonderful people who are on vacation and would like to travel with the best Venice, has to offer. You can easily book your appointment today whether you need a transfer from Venice Airport or if you are looking for a limo service in Venice. We offer you a safe ride to your destination in our very comfortable vehicles that are always spotless and clean. If this interests you and you need such things as a Venice cruise terminal transfer or are looking for Venice Airport Merco Polo taxi company then we will help you. Just contact us today or book your appointment on our website and we will be more than happy to help you. Contact us today to experience the best!